Both Chambers and Partners and The Legal 500 rank Phillip as a leading barrister in the field of matrimonial finance. They describe him as “having a brain like a calculator”, “being willing to take a judge on” and “experienced beyond his years and very persuasive in court”. Phillip is a private client specialist. His practice focuses on resolving the financial consequences when relationships end, whether through separation, divorce or death. In addition to his financial practice, Phillip is instructed in complicated and intractable private law children disputes, especially in respect of cases involving international cross-border disputes (both Hague and non-Hague Convention jurisdictions). This represents the focus of Phillip’s practice. He is routinely instructed in cases involving offshore assets, trusts, complicated company structures and hidden wealth. Phillip has acted in many cases involving preliminary technical legal arguments, on the strength of which the main proceedings stand or fall. Recent examples include the extent to which a party should be held to an agreement, the effect of a party’s failure to comply with the rules of disclosure and establishing / resisting claims by interveners to ownership of assets that would otherwise be subject to the court’s dispositive powers. Phillip has appeared in courts of all levels, up to and including the Court of Appeal, where he has appeared both with and without a leader – these cases have often become guiding authorities on the points of law in issue. His reputation for powerful and effective advocacy is grounded in valuable experience in criminal work in his early career. The Court of Appeal allowed an appeal against an order in financial remedy proceedings directly against a discretionary trust, of which the husband was a potential beneficiary, to make a lump sum payment to the wife. The judge had had no power under the Matrimonial Causes Act 1973 s.23(1) to make such an order against a third party. Appeal against a decision that there had been material non-disclosure during the course of an appeal. Consideration of the circumstances in which a court may, on the grounds of material non-disclosure, set aside an order for financial provision following divorce. 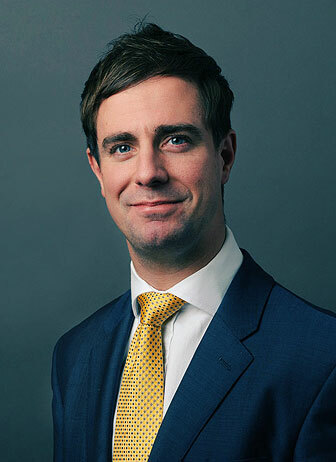 ‘Phillip Blatchly handles matters in the private client sphere relating to family breakdowns and focuses on complex cases involving trust structures and non-disclosure of assets. His advocacy is notable for its utilisation of technical legal points to progress cases. He is experienced in related private client issues such as Inheritance Act proceedings.